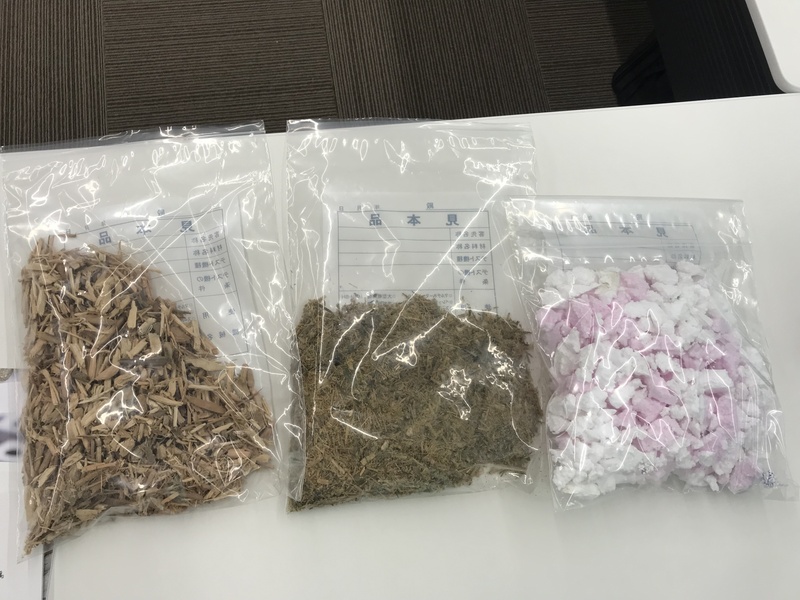 BGCT JAPAN Co. Ltd. and Creative Co., Ltd believes that their product called "RPPWF™" should be a promising alternative fuel resource to coal and oil, prepared from non-hazardous, non-recyclable papers, plastics/plants and woods waste, and other households and industrial wastes. "Prepared" above means processed, homogenized, and upgraded to a quality for commercial use. Production site for RPPWF™ can be set up locally for regional distribution (i.e. to local power plants). Alternative resources, which are more sustainable, to coal and oil are highly preferred for electricity generation today to contribute to environmental sustainability. RPPWF™ is a class 4 solid recovered fuel, registered in the international fuel list CEN 343, and is expected to be the promising alternative resource to coal and oil. For example, RPPWF™ has a higher calorific value (over 25MJ/Kg) than coal (generally between 19-22 MJ/Kg). Compared to coal, RPPWF™ has about 20% less moisture and approximately 50% less ash. The content of Sulphur in RPPWF™ is almost negligible while coal generally contains up to about 10%. Furthermore, the CO2 emission from burning RPPWF™ is almost one third, compared to that from burning coal. Because of this ‘green’ characteristics, RPPWF™ is alternatively called Green Coal™ (this name is also a registered trademark). RPPWF™ also has higher biomass contents than conventional biomass resources. In the case of RPPWF™, more than 85% is biomass content (rests are plants or plastics). RPPWF™ satisfies the European standard for solid recovered fuel, CEN 343, and also has certifications of ISO 14001 and ISO 9001. Because the raw materials for RPPWF™ are 100% biomass (i.e. paper, plant and wood wastes), CO2 emission of the procurement of raw materials can be mostly reduced to zero. Moreover, biomass as raw materials means less cost to procure than any other fuel resources such as coal and oil. Heat recovery rate of RPPWF™ is over 70% and the combustion efficiency is about 98% which are much higher than those of coal and oil. The CO2 emission reduced from producing RPPWF™ can be used for CO2 credit for domestic and/or international emissions trading. RPPWF can be composed by wide variety of material combinations. RPPWF can be also manufactured by shredders and molding machines which are sold for commercial use. This demonstration shown in the video above was conducted at the factories of the collaborative companies. Nevertheless, the patent of RPPWF is owned by Creative Co. Ltd., and the operational conditions should be advised through technical instruction by BGCT JAPAN Co., Ltd. or Creative Co., Ltd.
We cultivate Amaranthus(※) for the purpose of using effectively fallow rice fields, and aim to produce RPPWF by utilizing it as a part of raw materials. This plan has been discussed minutely among not only the members of BGCT JAPAN Co., Ltd. but also people from nonprofit organizations (NPOs) and universities. We also consider developing this plan through importing biomass material from Southeast Asian countries. ※Amaranthus, collectively known as amaranth, is a cosmopolitan genus of annual or short-lived perennial plants. Some amaranth species are cultivated as leaf vegetables, pseudocereals, and ornamental plants. Most of the Amaranthus species are summer annual weeds and are commonly referred to as pigweed. Language barrier, law and regulations of candidate countries might become challenges when installing RPPWF™ production line and establishing supply chain network. Climate conditions could affect the long-term reliability of the RPPWF™ production. Good education for operators at the production site must be conducted to maintain the efficiency of RPPWF™ production. Creative Co.,Ltd., headquartered in City of Hiroshima, Japan, owns the patent for RPPWF™. We are the exclusive licensee of RPPWF™. Name BGCT JAPAN Co., Ltd. / Creative Co., Ltd.
We are looking for business partners who can firstly import our product from Japan to sell in local areas. Eventually we would like to install manufacturing facilities to produce locally for local consumption. We will provide our business partners and their employees with a training for manufacturing and maintenance skills and we will also organize visits to our manufacturing site in Japan. We will offer license of our technologies to our business partners. CO2 emission at the combustion stage for GREEN COAL can be calculated to be “Zero” because of the principle of carbon neutrality, as well as low CO2 emission of RPPWF.